In “Air Attack Against Wildfires,” our assessment of firefighting aircraft modernization options, we urged the United States Forest Service to transition to a fleet dominated by water-dropping scooper aircraft for fighting fires before they can become large. 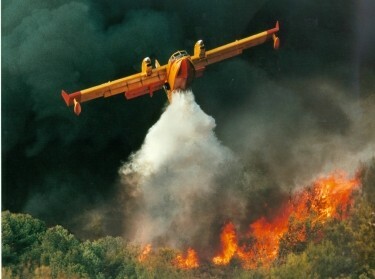 While the Forest Service has not completely agreed with RAND's proposal, they have leased one CL-415 scooper aircraft. But was leasing this aircraft the best approach? If fires are located near appropriate water sources, as has generally been the case over time, water-scooping aircraft can drop many more gallons of water per hour on a fire than retardant-bearing aircraft can drop retardant. Retardant-bearing aircraft need to return to an airport to re-load, drastically reducing the rate at which they can attack a fire. Although retardant is more effective than water per gallon, our calculations show that this difference is not enough to offset the much larger number of gallons delivered by water-scooping aircraft. 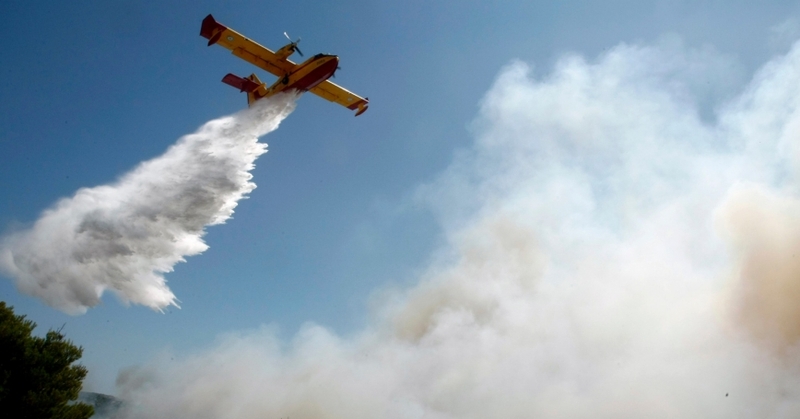 Moreover, we estimated that the cost of water scooping aircraft would be low relative to the lease or purchase of new retardant-bearing airtankers, making a scooper-dominated fleet — such as is found in Canada and several European countries — a cost-effective option for the USFS. In October, the Forest Service announced it signed a five-year operating lease with Aero-Flite Inc. to acquire and operate a CL-415 scooping aircraft. According to the announcement, the five-year operating lease with Aero-Flite will cost the Forest Service $57 million, or about $11.4M per year. This is a far higher price than we estimated, and it merits review. A Bombardier CL-415 scooper aircraft has an acquisition cost of about $35 million. With an expected lifetime of 30 years, we estimated (using standard government accounting techniques) that its annualized acquisition cost would be around $1.5 million. Additionally, we estimated that the aircraft's annual operating costs, including fuel, pilots, maintenance, and so forth, would be about $1.5 million, for a total annualized cost of approximately $3 million, not counting fees or profits for the aircraft's owner and operator. The Forest Service lease's annual price is, however, more than three times this amount. We used a similar technique for estimating lease costs of helicopters and found that our cost estimates closely matched what the Forest Service actually pays to lease those aircraft. Our $3 million per year per scooper estimate is also consistent with what Los Angeles County pays the Province of Quebec for a part-year operating lease of two CL-415s owned by the province. It might be more cost-effective for the USFS to simply purchase the CL-415 outright for $35 million and pay a private sector firm to maintain and operate it at a cost of roughly $1.5 million per year. Seemingly, this would cost substantially less even in the first five years of ownership than leasing under available terms. Based on our comparison of the USFS contract costs and our estimates, we think a government-owned, contractor-operated approach might be more cost-effective in the long run than the contractor-owned, contractor-operated approach currently employed by the Forest Service. Edward G. Keating is a senior economist; Andrew Morral is a senior behavioral scientist and associate director of RAND Justice, Infrastructure, and Environment; Daniel M. Norton is a senior management systems analyst; and Dulani Woods is a project associate at the nonprofit, nonpartisan RAND Corporation. This commentary originally appeared in The Orange County Register on December 23, 2013. Commentary gives RAND researchers a platform to convey insights based on their professional expertise and often on their peer-reviewed research and analysis. Edward G. Keating, Andrew R. Morral @AndrewMorral, et al.